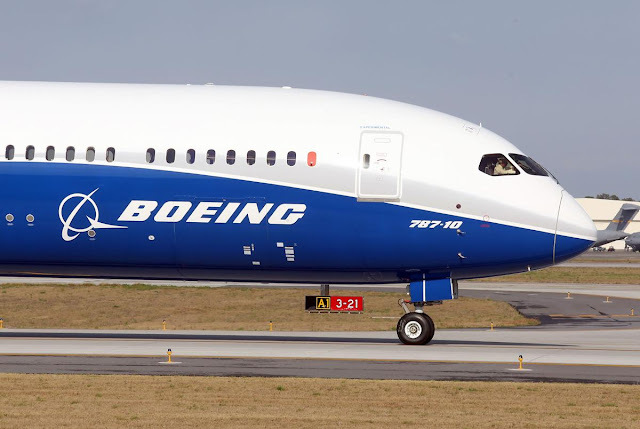 Boeing and Airbus will lose contracts worth roughly $39 billion to replenish Iran’s aging fleet of commercial planes as part of the Trump administration’s reimposition of sanctions, reports the Washington Post. The aircraft sales were among the most sought-after contracts for Iran, reports WaPo. In December 2016, Airbus Group signed a deal to supply national carrier Iran Air with 100 airplanes for around $19 billion at list prices. It has delivered three planes so far, the first new aircraft acquired by Iran in 23 years. Boeing later inked a deal with Iran Air for 80 aircraft with a list price of about $17 billion, promising that deliveries would begin in 2017 and run until 2025. The company separately struck a 30-airplane deal with Iran’s Aseman Airlines for $3 billion at list prices. No deliveries have been made yet. But the deals are now dead thanks to Trump's militant anti-commercial stance against Iran. Shouldn’t the Trumpers be mad that Trump is helping Iran reduce its trade deficit? The Trump giveth...and the Trump taketh away. Imagine if the Boeing CEO held a press conference in front of a large hanger, backed by a beautiful new airplane, or three, and a couple of thousand employees, and stated that they will not "obey". They choose to build the airplanes and honor their contracts. What saieth the imperial overlords of D.C. to that? They still have to ship or fly the planes out of Amerika. The gov can easily shut both down for Boeing. No success with drug trafficking but with Boeing they can probably get it done. Ahh yes, another look at what FREE trade looks like from the USSofA side. Free only to the point of the da or nyet from our masters!